Late last month Ian Fleming Publications unveiled cover art for their new digital edition of Steve Cole's debut Young Bond adventure, "Shoot To Kill". Set in 1930s Hollywood, the novel follows 14-year-old James' adventures in LA and his entanglement in the plans of Anton Kostler. The well-received novel is now available to order in North America. 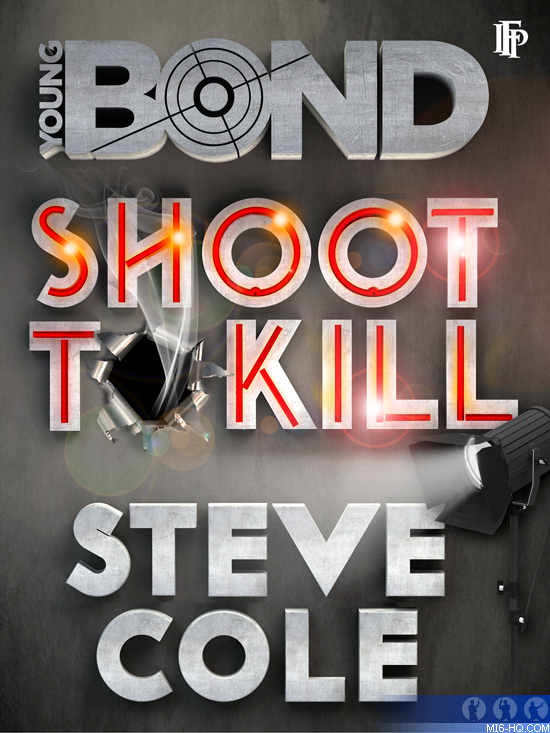 Official Blurb: Steve Cole comments "I am both honoured and hugely excited to be taking on Young Bond from Charlie. I am having a fantastic time shaping a new era in the life of a truly iconic character - readers can expect many firsts, surprises and dangers to come as James's life develops." Steve Cole and the first Young Bond author Charlie Higson came together at the Hay Festival to mark the official handover of the authorship. Together they unveiled a giant replica book cover of Shoot to Kill, a striking black and metallic design which gives a few hints as to what will unfold in Bond's next adventure.